Throughout the 20th century the United States found itself in the unenviable position of having to decide far away conflicts. But it wasn’t until the advent of mechanized warfare in Central Europe that the US Army, still lethargic from isolationism, realized the tank–not the howitzer or the machine gun–is the decider for ground forces on any terrain. The success of the M4 Sherman, with nearly 50,000 built in all variants, wasn’t transferred to US tanks in the immediate post-World War Two era. This inadequacy, combined with the demands of the Cold War, spurred a development cycle that goes on to this day. It also helped that, unlike any other armed forces on the planet, the US’ own military had to deploy in force across five continents. Hence better armored fighting vehicles were always needed. Today the US can boast having the best tanks in the world. It’s a reputation at risk with more countries than ever before producing newer and deadlier MBTs. 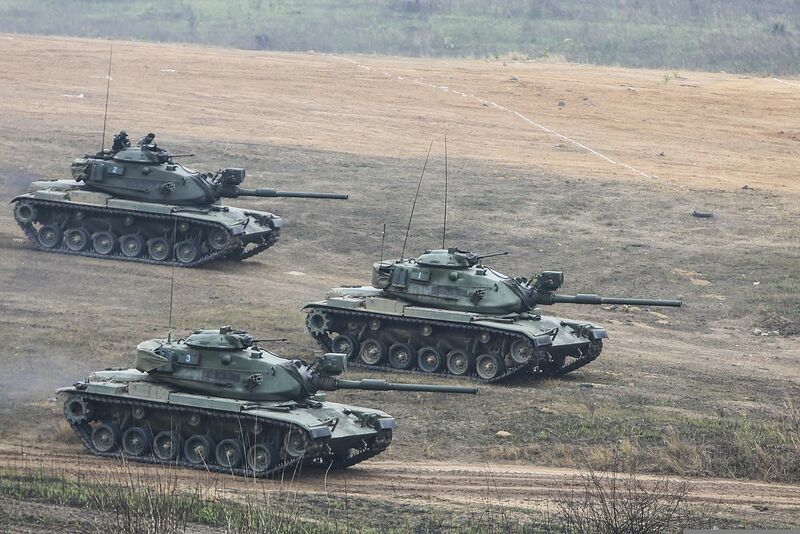 Even with the ongoing decline in tank inventories, the historical experiences of Poland, Israel, South Korea, and Pakistan drive home an important lesson: ground control is determined by armor. Here is a mechanized line of descent tracing the various tanks deployed by the US military in the last 70 years. What it ultimately reveals is, when conquering foreign battlefields, bigger is always better. Even with the excellent hindsight provided by its experience in Europe, the post-war US Army was still mesmerized by the concept of fielding light, medium, and heavy tanks. Why this peculiar fixation endured is hard to ascertain when armor production in other parts of the world was being geared toward the Main Battle Tank (MBT). Perhaps it was a throwback to World War Two, when Detroit’s leading car manufacturers were responsible for American tank production. 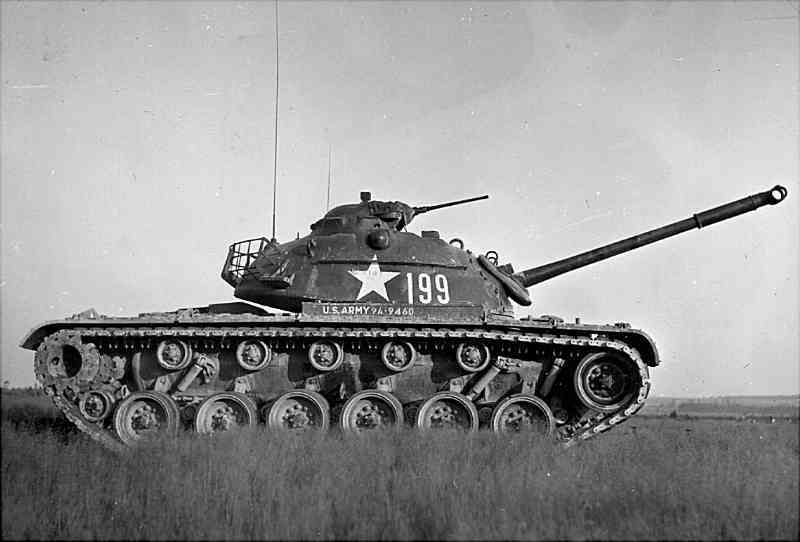 The way to build tanks was making them fast, affordable, and improvable–like the Sherman. 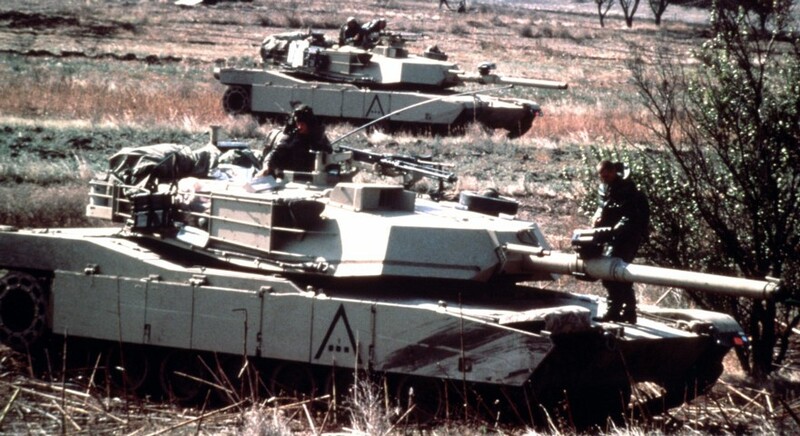 Detroit’s grip on tank manufacturing continued until production of the M1 Abrams shifted to the Lima Army Tank Plant in Ohio during the 1990s. Badly in need of a reconnaissance tank better than the weak M24 Chaffee, R&D for what became the M41 Walker Bulldog picked up in the late 1940s. The M41 was manufactured by Cadillac, a division of General Motors, from 1950 until it was supplanted by the M48. Despite its modest proportions, it was an interesting fighting machine with a 76mm main gun, a 500 horsepower diesel engine, and superior visibility compared to what came before it. The M41 was a boon for US allies in South America, Europe, Africa, the Middle East, and Asia. With an estimated 5,500 built, it was exported and supplied to Brazil, West Germany, Jordan, Japan, South Vietnam, Spain, Taiwan, and Thailand–to name a few. Alas, the emergence of next-generation Soviet tanks and anti-armor weapons exposed the M41’s shortcomings. The M41 was a very capable tank overcome by the vagaries of an arms race and it disappeared from US Army service in the 1960s. Confined to drawing boards and constant revision for much of World War Two, the Pershing came in too little and too late in the last months of fighting. It was still a superb tank for its time with excellent mobility and a 76mm gun (and later a 90mm gun) that packed a wallop. The M26 was atypically crewed by five men and featured a quaint bow-mounted 7.62mm machine gun aside from its turret armaments. The M26, re-designated the M46 Patton after a new engine, transmission, and main gun were installed, performed well in the Korean War (1950-1953) but was at a disadvantage against newer Soviet armor. In the greater scheme of things, the M26/46 was unsuited for the nuclear age. There were better tanks in service around the world. The British had the venerable Centurion with its powerful main gun; the French mass-produced the lightweight and combat efficient AMX-13 that went on to enjoy a sterling career; the Soviets multiplied their T-54, which begat the T-55 and became the most produced tank in history. Instead of modern anti-tank weapons, it was being an anachronism that doomed the Pershing. With over 2,000 produced since 1944, the M26/46 was retired from service by 1952. But the M26/46 did have a legacy of sorts. The M46’s dependable chassis would be utilized by US tanks until the 1960s. The 1950s proved the golden decade of US tank development. Faced with the prospect of apocalyptic mass warfare against Soviet and Chinese armored formations, the US Army created requirements for tanks with a qualitative edge over the enemy. The first true offspring of this concept was the M47 Patton, the M46’s nimble successor. Classified as a medium tank, the M47 featured a newly designed turret armed with a 90mm main gun mounted on a familiar chassis with six–rather than five–road wheels. The M47’s armament featured a ubiquitous muzzle brake that distributed a blast sideways so as not to obscure the gunner and commander’s sight during combat. This particular feature of tank guns became moot when digital fire control systems and thermal sights were installed on turrets. The M47 did have shortcomings that became apparent over time. Its newfangled rangefinder was unreliable, its ammunition storage was also problematic for the crew, and its 90mm gun was soon outclassed by its peers on either side of the Iron Curtain. This is why the M47’s production, which began in 1952, ceased only after a few years. An estimated 8,000 M47’s were built and sold to US allies in Europe, Asia, and Africa. By today’s standards the M47 is obsolete and its mobility is inadequate. But it was an impressive tank during its brief heyday. Sadly overlooked, the M48 was the third US tank called “Patton.” Mass-produced between 1951 and 1959 the M48 continues to fight today in the petty turmoils of developing countries. Since the 1960s continuous wars in Southeast Asia and the Middle East have tested its limits. When it entered service after the Korean War the M48 was judged more than a match against anything the Eastern Bloc could throw at it. At least this was the original assumption. Weighing a cumbersome 50 tons and equipped with a 690hp diesel engine, the first M48 was armed with a 90mm gun. Better intelligence on Soviet tanks and the shock of the Vietnam War (1965-1973) compelled improvements. 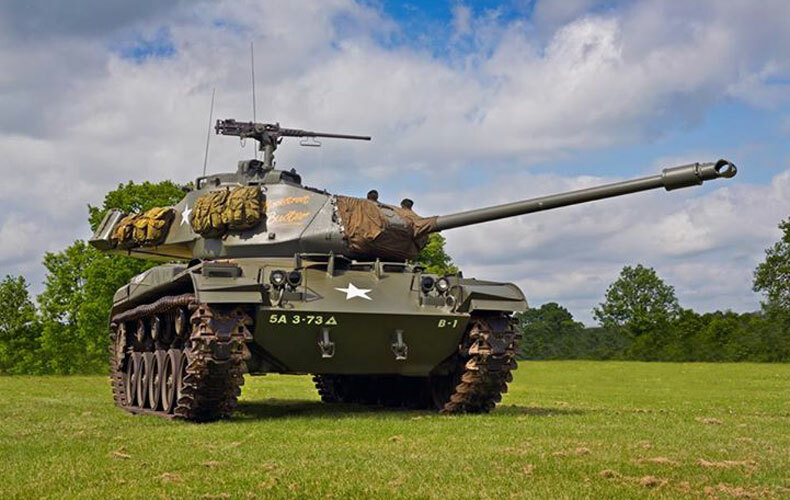 The M48A2 arrived in 1955 and featured better mobility. The M48A3 had a larger diesel engine installed. A few M48’s were converted into mobile flamethrowers. The M48A5 transformed it into an M60. The M48’s finest hour was the Yom Kippur War (1973). Facing immense material losses, M48’s airlifted to Israel’s beleaguered military turned the tide against Syrian and Egyptian armor. 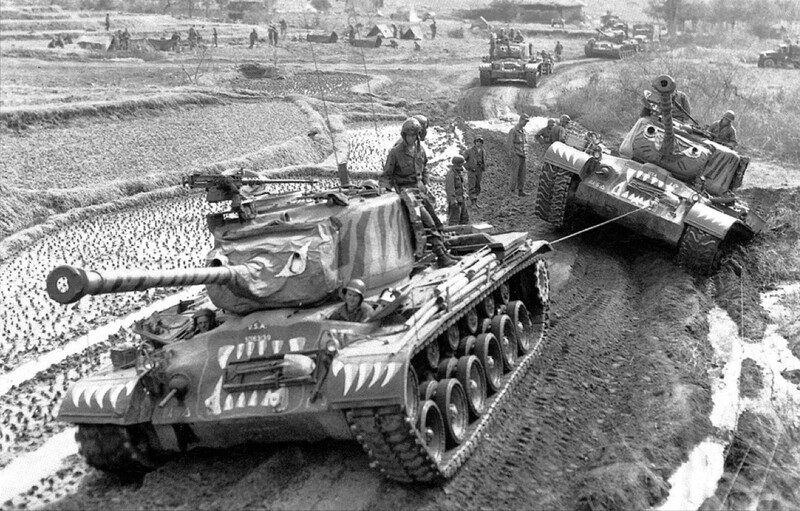 A total of 11,703 M48’s were built before they were supplanted by the M60. The M48 was sold and delivered to numerous US allies. Its operators include Greece, Iran, Israel, Jordan, Lebanon, Morocco, Norway, Pakistan, Portugal, South Korea, Spain, Taiwan, Thailand, Tunisia, and Turkey. Time and the evolution of Soviet armor consigned the M48 to obscurity even if hundreds–maybe thousands–are collecting dust in storage areas around the world. Like the Pershing, the M103 was a leftover from the World War Two drawing boards that were supposed to conceive an American super tank. Unlike the Pershing, the M103 didn’t get the benefit of entering production. By the time the Korean War exploded and finished inconclusively over the negotiating tables at Panmunjon, the M103 wasn’t deployed yet. Just 300 M103’s were manufactured in 1957. Its main advantage over its peers was a massive 120mm gun. 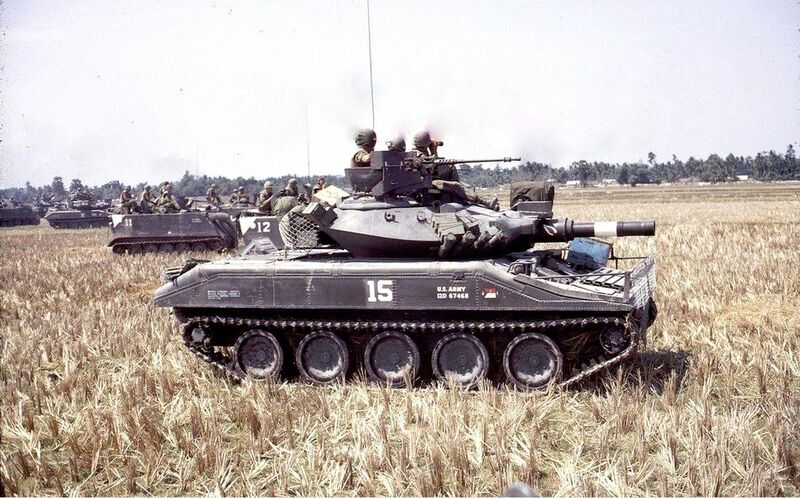 In retrospect, an M103 equipped with a digital fire control system, thermal sights for the crew, additional armor protection, and an even larger engine would have made an impressive MBT. But in reality, its old school “heavy tank” ethos struggled to stay relevant during the Cold War. The M103 did have an air filter, however, which qualifies as a modicum of nuclear, biological, and chemical (NBC) protection. Its own role in the Vietnam War was ambiguous and by 1974 the remaining M103’s used by the USMC were retired from service. But the spirit of the M103 lived on when the US Army partnered with the West German Bundeswehr for the mysterious MBT-70 program. Beginning in 1968 teams of American and German engineers designed a super tank with two layers of armor and an impregnable turret. Interestingly, the MBT-70 prototype for the US Army was armed with the enormous XM150 152mm gun/missile launcher and a 20mm cannon as a secondary weapon. It’s worth pointing out the Soviets also experimented with the same concept later on. The MBT-70 never came to fruition and when the M1 Abrams was being R&Ded it bore a closer resemblance to its Western European counterparts rather than any previous American design. Airborne forces were still deemed relevant in the 1950s and 1960s. Rather than settle for the battle proven M41 Walker Bulldog a new air transportable light tank was developed by Cadillac for the US Army. By 1970, Cadillac’s high tech mini-tank came with a four-man crew and a powerful 152mm main gun that fired the MGM-51 Shillelagh missile. 1,700 Sheridans were built between 1966 and 1970. None were exported to US allies although the Sheridan earned a sterling combat record. But the Sheridan’s strengths were also its weakness. At just 15 tons–lighter than most APCs today–its aluminum hull offered inadequate protection. Its powerful main gun didn’t matter because of its abysmal range. The interior was also cramped and if it were penetrated, the entire crew could be killed by exploding ammunition. The last Sheridans were retired by 1996. Although it left behind a questionable legacy, the virtues of the Sheridan have thrived in Russia, of all places. The latest variants of the BMD-series include the BMD-4M armed with a 100mm gun and the Sprut-SD and its 125mm main gun. Both are next-generation air-transportable platforms like the Sheridan. The Sheridan wasn’t the last light tank made in the US, however. During the mid-1980s Cadillac Gage tried its hand at another light tank and developed the Stingray, a 20-ton tank armed with a 105mm gun, and found a willing customer in the Royal Thai Army. Only 106 Stingrays were built and sold. Its manufacturer merged with Textron Systems in 1994 and became Textron Marine & Land Systems. The first decade of the Cold War was an innovative period marked by breathtaking advances in weapons technology. To defeat whatever rolled out of Soviet tank factories, the M60 entered production in 1958 and approximately 15,000 were produced until 1983. In historical terms, the M60 bore the brunt of the Cold War. It was immediately deployed in South Vietnam and exported to key US allies like Greece, Taiwan, South Korea, Saudi Arabia, Iran, Israel, Egypt, and Turkey. It earned an impressive combat record during the Arab-Israeli wars and it proved susceptible to constant upgrading. Armed with a 105mm gun and running on a 750hp engine the M60 offered above average speed, excellent gun elevation, and a spacious interior that was a boon for the crew. The M60 is recognizable for its tall profile and the small cupola on the turret housing its .50 caliber machine gun. The M60A2 was the most anomalous of the storied Patton tanks. Its peculiar turret was armed with a 152mm gun/missile launcher but the concept and the vehicle were both short-lived. On the other hand, the Pentagon and the US Army were so confident of the M60A3, especially its armor protection and fire control system, they ranked it superior to the ubiquitous Soviet T-55 and T-62. In 2001 General Dynamics introduced a new M60 variant mounting the turret of an M1 Abrams and armed with a 120mm Rheinmetall main gun. Since the 1980s Israel has made the greatest strides improving the M60’s armor and lethality. Countries like Egypt and Taiwan still depend on the M60 to bolster their armies. 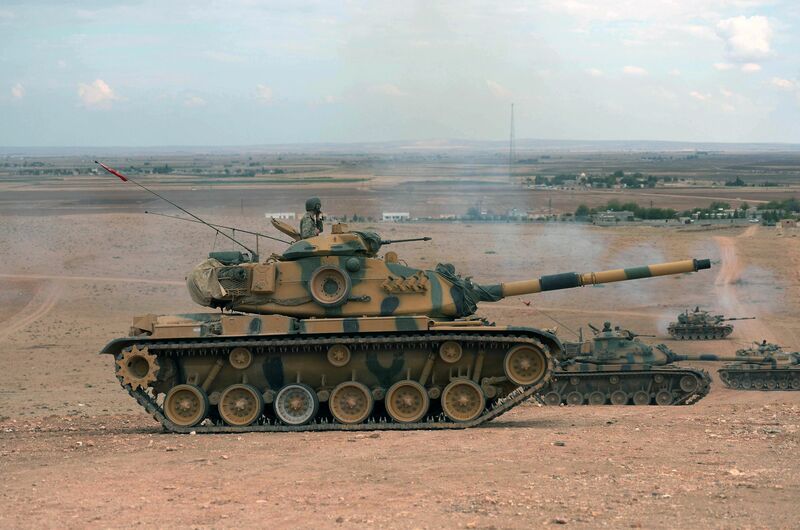 In late 2014, M60A3’s belonging to the Turkish Army were deployed along the Syrian frontier. 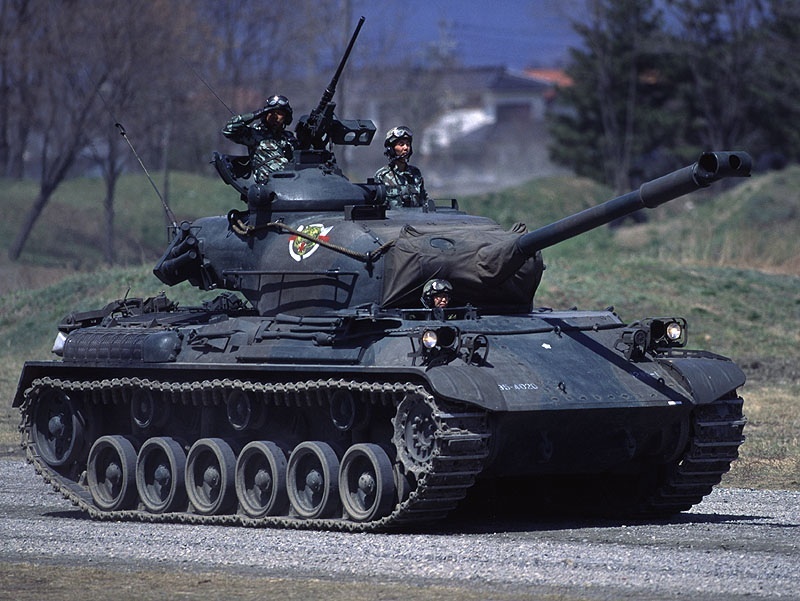 Until the arrival of the Abrams the M60 was the longest serving MBT ever developed for the US Army and Marine Corps. The last M60A3’s were decommissioned in 2005. 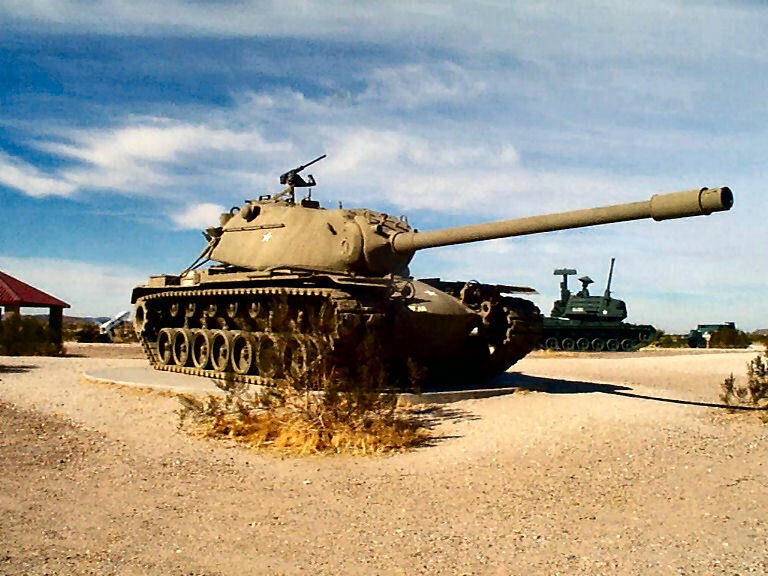 During the 1970s two giants of the car industry competed for the US Army’s next tank. The defense subsidiary of the Chrysler Corporation triumphed over General Motors and in 1980 the first M1 Abrams MBTs entered service in Western Europe. The M1 was impressive from the very start. Its angular layout suggested a tank designed with an emphasis on crew survivability. It also utilized reactive armor–rolled homogeneous steel fused with ceramic–to defeat high explosive projectiles and its turret had blast-off panels to deflect impacts. Combined with a powerful 1,500hp engine the M1 was a generation ahead of anything the Eastern Bloc had. It carried an uncharacteristic number of weapons, having a 105mm main gun and three machine guns–a Browning .50 on the tank commander’s hatch, a 7.62mm M60 on the gunner’s hatch, and a coaxial 7.62mm on the turret. Although its 105mm gun was eventually replaced by a larger 120mm main armament in 1986, the M1 Abrams was the ultimate modern tank for the digital age. From 1986 until the end of the Cold War the US Army put its faith in the M1A1 to ensure its qualitative edge over its enemies. The M1A1 lived up to this expectation during Operation Desert Storm in 1991. The First Armored Division’s M1A1’s, for example, destroyed 500 Iraqi tanks with no M1A1’s lost to enemy fire in less than five days of combat. Actual tank losses suffered by the US in Desert Storm numbered 18. These were often caused by battle damage and friendly fire–one unfortunate M1A1 survived a direct hit from a Hellfire missile. What made the M1A1 better than the T-72’s, T-62’s, and T-55’s arrayed against it were superior thermal sights, excellent gunnery, and well-trained crews. The mythical reputation that enveloped the M1A1 post-Desert Storm suited it well in the 1990s when the US military acted as a world policeman. In the Balkans and East Asia the M1A1 was a potent symbol of American hard power. A prized tank, the M1A1 has been exported to Egypt, Australia, Iraq, and Morocco. The US agreed to co-produce the M1 Abrams with Egypt in 1988. To this day Egypt is the only country that assembles the M1A1 Abrams outside the US. Deliveries of the M1A1 were made to Iraq between 2008 and 2012. But in 2014 the Iraqi Army lost an estimated 100 of its 140 M1A1’s fighting the Islamic State. A new batch of 175 M1A1’s were sold to Iraq before the year ended. During its nine-year occupation of Iraq, the US Army also had to grapple with tank losses. An unspecified number of M1A1’s were knocked out by roadside bombs and anti-tank weapons fire by insurgents. But little concrete evidence survives to prove the extent of these losses. To mitigate the threats posed by urban combat, the Tank Urban Survival Kit (TUSK) was developed for future M1’s. An even more advanced M1 Abrams was introduced in the 1980s but limited production didn’t commence until 1996. 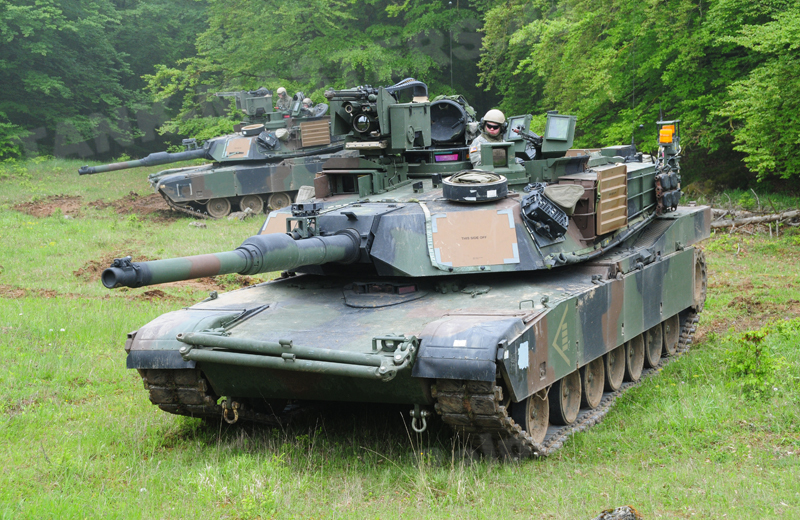 This latest Abrams iteration was called the M1A2 System Enhancement Program (SEP). The variant featured improvements to its armor–with depleted uranium panels installed over the front and around the turret–and a better fire control system. 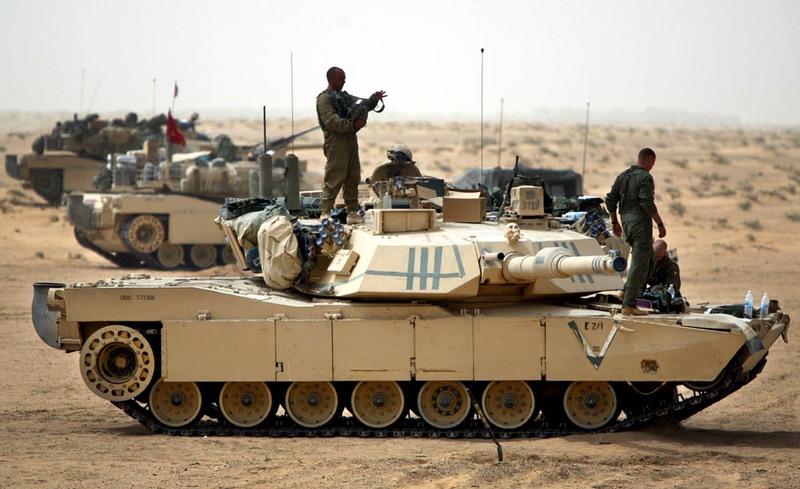 Saudi Arabia and Kuwait were the first international customers of the M1A2. The ongoing war in Yemen has produced footage that suggests some of these tanks have been lost to enemy fire. This further punctures the myth of the Abrams’ invincibility. Today the 70-ton M1A2 SEPv2 maintains its reputation as the world’s best tank, albeit with specific weaknesses that are common among other tanks, i.e. shaped warheads. But let there be no doubt how formidable the M1A2 SEPv2 is. Current assessments of its capabilities reveal the M1A2 bears no resemblance to the original M1 except for its Textron Lycoming AGT 1500 gas turbine engine. Its interior and exterior have been altered for tomorrow’s warfare. After a brief absence, the Abrams is making a comeback in Europe to check Russian expansion across the former Eastern Bloc. The US Army and Marine Corps have more than 5,500 M1 Abrams’ in all variants. Owing to its reputation and firepower, there are no plans for its replacement until 2030.